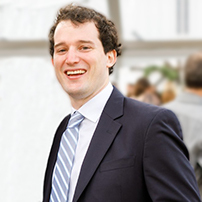 Will Klein serves as a GHHI Social Innovation Specialist. He works with organizations in cities across the U.S. to help them access health care funding to pay for home improvement projects that address the underlying triggers of asthma, lead poisoning, and accidental falls. Previously, he worked for Solar Mosaic, where he ran online marketing to help drive the first $10M ever crowd-invested in community solar projects and then served as the company’s first business analyst in its transition to becoming the largest residential solar lender in the country, originating over $1B annually. Will holds a BA in Nature and Culture from the University of California, Davis and a MEM from the Yale School of Forestry and Environmental Studies. His favorite thing in the world is a hot Krispy Kreme doughnut.